At Performance Running Outfitter’s next Ladies Night, Bubbles & Bras, you can work with an expert bra fitter to find the perfect size. It’s your chance to find the right fit to make your workout as comfortable and supportive as possible. Ladies Night will be offered at both the Brookfield and Shorewood PRO locations. Each store has a different event date. 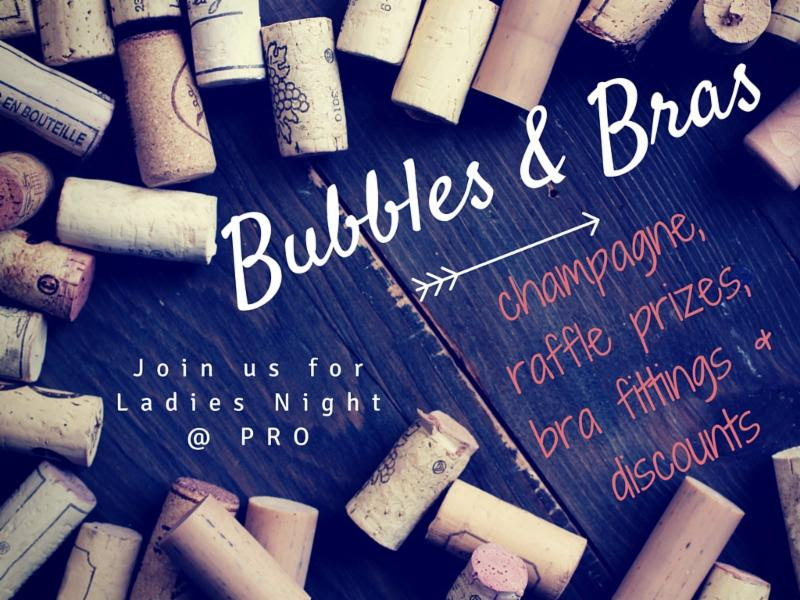 During Ladies Night, PRO is offering 15% off apparel and bra purchases and 20% off Moving Comfort items. You can also enter a raffle to win a Oiselle, Handful or Moving Comfort bra. In addition to the bra fittings, there will be champagne, chocolate, cupcakes and shopping all of PRO’s other apparel and accessories. Space is limited, so make sure to RSVP for the Brookfield or Shorewood event. ← Let’s Get to Know … Aaron Pierce!